In a DWI prosecution under N.J.S.A. 39:4–50 and 39:4-50(a) police must observe an individual uninterrupted for 20 minutes. As simple as it may seem to observe an individual for an uninterrupted period of 20 minutes, it is frequently the case that the State has a hard time establishing that this procedural requirement was met. Our attorneys have on multiple occasions been able to prove that the twenty-minute observation period was broken and the results of the Alcotest, commonly referred to as the breathalyzer, have as result been suppressed. In New Jersey if you’re arrested on suspicion of driving while intoxicated (DWI) there are certain procedural safeguards that must be obeyed by law enforcement. One of the most essential safeguards in DWI defense as dictated by the New Jersey Supreme Court is that law enforcement must observe you for 20 minutes before a Alcotest, commonly referred to as a Breathalyzer, can be administered. Law enforcement operating the Alcotest must wait 20 minutes to ensure no outside samples interfere with the performance of the test and provide overestimated readings. As stated by the New Jersey Supreme Court in State v. Chun, if the arrestee swallows anything or regurgitates, or if the operator notices chewing gum or tobacco in the person’s mouth, the operator is required to begin counting the twenty-minute period anew. State v. Chun, 194 N.J. 54 (N.J. 2008). 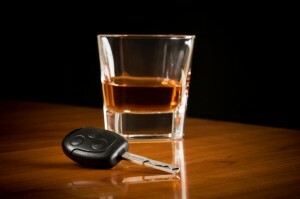 Can U.S. Supreme Court Ruling on DWI Blood Draws Be Applied Retroactively? The New Jersey Supreme Court has agreed to decide whether a U.S. Supreme Court ruling concerning the need for a warrant when it comes to a DWI blood draw can be applied retroactively in the state. 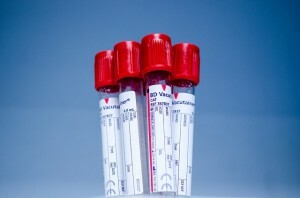 In its Missouri v McNeely ruling in April of 2013, the High Court said that blood draws amount to a search and therefore do not skirt the warrant requirement. Precedent had dictated that taking blood samples from drunken-drivers did not require a warrant because a necessity was created by the dissipation of alcohol in the bloodstream. The recent U.S. Supreme Court ruling took some by surprise, because everybody, even defense attorneys, had assumed that a blood draw in a DWI case did not require a warrant. A 22-year-old Garfield woman has been charged with DUI (driving under the influence) in connection with a wrong way collision she allegedly caused after going the wrong way on Route 4 in Paramus. The suspect was allegedly at Miller Ale House until shortly before midnight. After she left that establishment in her 2013 Nissan Altima, she turned the wrong way on to Route 4 and was heading east in the westbound lanes. According to NorthJersey.com, the woman hadn’t traveled far before she allegedly collided with an oncoming 2002 Toyota Camry driven by an 18-year-old man and a 1999 Toyota Avalon driven by a 50-year-old Teaneck resident. Upon receiving your driver’s license in New Jersey, you will have automatically given your “implied consent” to be subjected to the Alcotest if you are ever arrested for driving while intoxicated (DWI). Breath analysis is one of the most common ways that police will check a suspected DWI driver’s estimated blood alcohol content (BAC). But how accurate are the results of the Alcotest? If you are arrested for a DWI based on an Alcotest, remember the following reasons why you can fight back and contact a trusted DWI defense attorney as soon as possible. Improper Maintenance – An Alcotest instrument must be carefully maintained and continually recalibrated by a certified officer in order to provide the most accurate estimates possible. If the machine is not properly tuned, it can produce bad results with unfortunate consequences for the accused driver. If it was calibrated by an uncertified officer or an officer with an expired certificate, the “Core” documents from the machine can be inadmissible in court. While most New Jersey residents view the month of December as a time to be with loved ones, the Division of Highway Traffic Safety understands that the end-of-the-year holiday season is a time of increased driving while intoxicated (DWI) accidents and casualties. 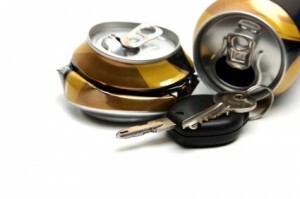 Every year, an unfortunate number of partygoers and revelers fail to plan ahead and risk being arrested for DWI. If you have been arrested, it is important to contact an aggressive and knowledgeable NJ criminal defense lawyer as soon as possible. According to New Jersey law (NJSA 39:4-50), a person is considered guilty of drunk driving if he or she has a blood alcohol content (BAC) level of .08 percent or higher or has permitted another person to driver with a BAC over .08 percent. It is also illegal to operate a motor vehicle while under the influence of drugs, such as a narcotic, a habit-producing drug, or a hallucinogen.